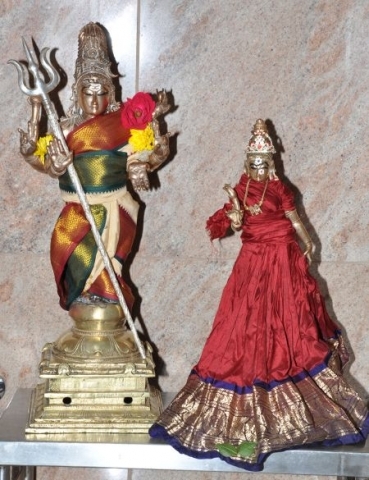 The idols of Šri Šiva and Pãrvati as Šri Chandrasekhara Swamy and Šri Anandavalli. Šri Šiva is worshipped both with and without form, most commonly without form. Here Šri Šiva is shown in a human form, along with His consort, Šri Pãrvati.